Drôme (Occitan: Droma) is a French department in southeastern France in the Auvergne-Rhône-Alpes region and named after the Drôme river. Its prefecture is the city of Valence. Drôme is one of the 83 French departments made during the French revolution, on 4 March 1790; it was made with part of the old French province of Dauphiné. It was divided in 6 districts: Romans, Valence, Die, Buis, Montélimar,and Crest. The capital was Chabeuil but in the same year the capital was moved to Valence. With the creation of the arrondissements, the 6 districts became four arrondissements: Valence, Die, Montélimar and Nyons. In 1926, the arrondissement of Montélimar was eliminated. Drôme is part of the Auvergne-Rhône-Alpes region, in southeastern France, with an area of 6,530 km2 (2,521 sq mi). The plain of Valence to the west. The Vercors Massif to the east. The central part of the department formed by the valley of the Drôme river and the highest mountains in the department. The Drôme provençale to the south. The highest point in the department is Rocher Rond, (44°41′48″N 05°49′38″E﻿ / ﻿44.69667°N 5.82722°E﻿ / 44.69667; 5.82722﻿ (Rocher Rond)). It is 2,453 m (8,048 ft) high it is on the border with the Hautes-Alpes department. Rhône, in the western part of the department; in the department, it is only 108 km (67 mi) long. Drôme river, a tributary of the Rhône. Isère river, another tributary of the Rhône. The climate of the Drôme department, in the city of Valence, is an oceanic climate, Cfb (Marine West Coast Climate) in the Köppen climate classification. 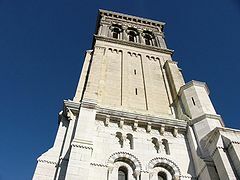 The average temperature for the year in Valence, at an altitude of 167 m (548 ft), is 12.8 °C (55.0 °F). The warmest month, on average, is July with an average temperature of 22.2 °C (72.0 °F). The coolest month on average is January, with an average temperature of 3.9 °C (39.0 °F). The average amount of precipitation for the year in Valence is 845.8 mm (33.3 in). The month with the most precipitation on average is September with 129.5 mm (5.1 in) of precipitation. The month with the least precipitation on average is February with an average of 43.2 mm (1.7 in). Drôme is part of the region of Auvergne-Rhône-Alpes. The department is managed by the Departamental Council of the Drôme in Valence. There are 3 arrondissements (districts), 23 cantons and 353 communes (municipalities) in Drôme. The inhabitants of Drôme are known, in French, as Drômois (women: Drômoises). Drôme has a population, in 2014, of 499,159, for a population density of 76.4 inhabitants/km2. The arrondissement of Valence, with 314,233 inhabitants, is by far the largest. The other two, Nyons and Die, have respectively 141,971 and 42,955 inhabitants. The city with more people living in it is the capital, Valence (62,150 inhabitants). The subprefectures of Nyons and Die have, respectively, 6,641 and 4,516 inhabitants. Castle of Suze la Rousse. ↑ "La Présidente" (in French). Conseil départemental de la Drôme. Retrieved 27 August 2017. ↑ 2.0 2.1 "Comparateur de territoire Département de la Drôme (26)". Publications et statistiques pour la France ou les régions (in French). Institut national de la statistique et des études économiques - INSEE. Retrieved 27 August 2017. ↑ 3.0 3.1 "Populations légales 2014 des départements et des collectivités d'outre-mer" (in French). Institut national de la statistique et des études économiques - INSEE. Retrieved 27 August 2017. ↑ 4.0 4.1 "Historique de la Drôme". Le SPLAF (in French). Retrieved 27 August 2017. ↑ ; "Rocher Rond, France". Peakbagger.com. Retrieved 27 August 2017. ↑ "Valence, France - Köppen Climate Classification". Weatherbase. Retrieved 10 January 2017. ↑ "Département de la Drôme (26)" (in French). Institut national de la statistique et des études économiques - INSEE. Retrieved 27 August 2017. ↑ 8.0 8.1 8.2 8.3 "Régions, départements, arrondissements, cantons et communes" (PDF). Populations légales 2014 (in French). Institut national de la statistique et des études économiques - INSEE. Retrieved 27 August 2017. ↑ "Département de la Drôme (26) et Arrondissements". Comparateur de territoire (in French). Institut national de la statistique et des études économiques - INSEE. Retrieved 27 August 2017. ↑ "Décret n° 2014-191 du 20 février 2014 portant délimitation des cantons dans le département de la Drôme" (in French). Légifrance.gouv.fr. 24 February 2014. Retrieved 27 August 2017. ↑ "Drôme" (in French). habitants.fr. Retrieved 28 August 2017. Wikimedia Commons has media related to Drôme. This page was last changed on 12 November 2017, at 22:23.